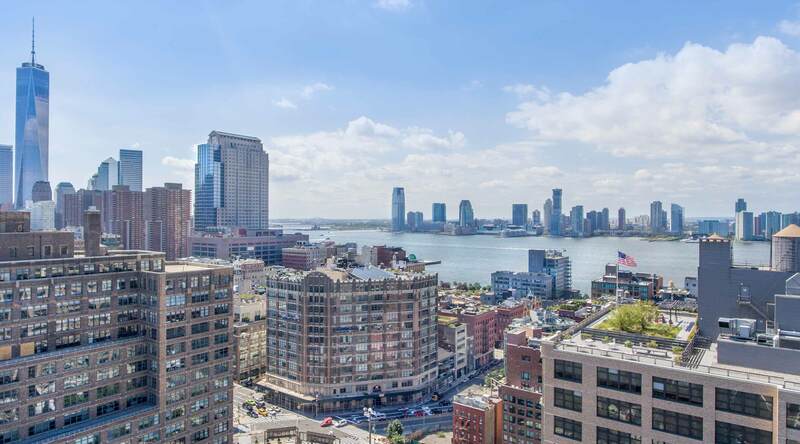 LANDSCAPED GARDENS ON BOTH THE GROUND AND SECOND FLOORS INVITE RESIDENTS TO CONNECT WITH THE OUTDOORS, WHILE THE WEST SOHO SETTING GRANTS IMMEDIATE ACCESS TO THE CULTURE AND NIGHTLIFE OF DOWNTOWN. 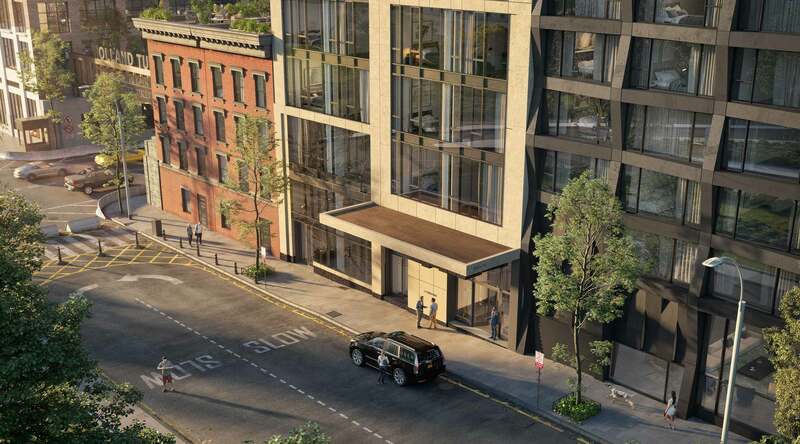 UNFETTERED VIEWS OF PUBLIC GREENSPACE AND URBAN ACTIVITY ARE FRAMED THROUGHOUT THE BUILDING. 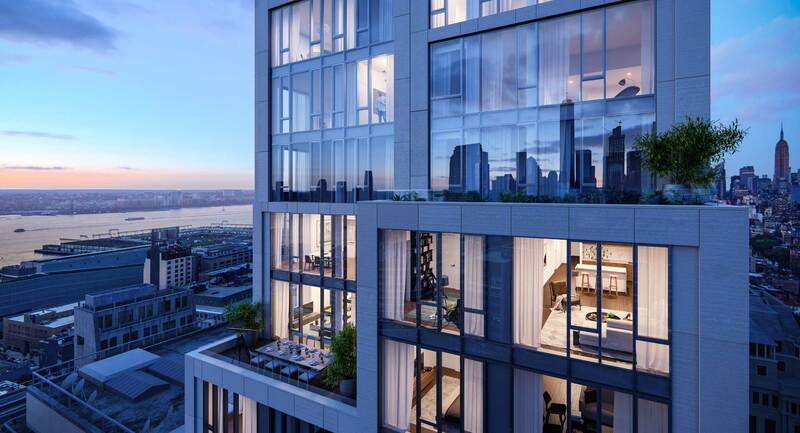 THE FAÇADE’S CRYSTALLINE GLASS CURTAIN WALL CAPTURES STUNNING VISTAS OF DOWNTOWN AND THE HUDSON RIVER. 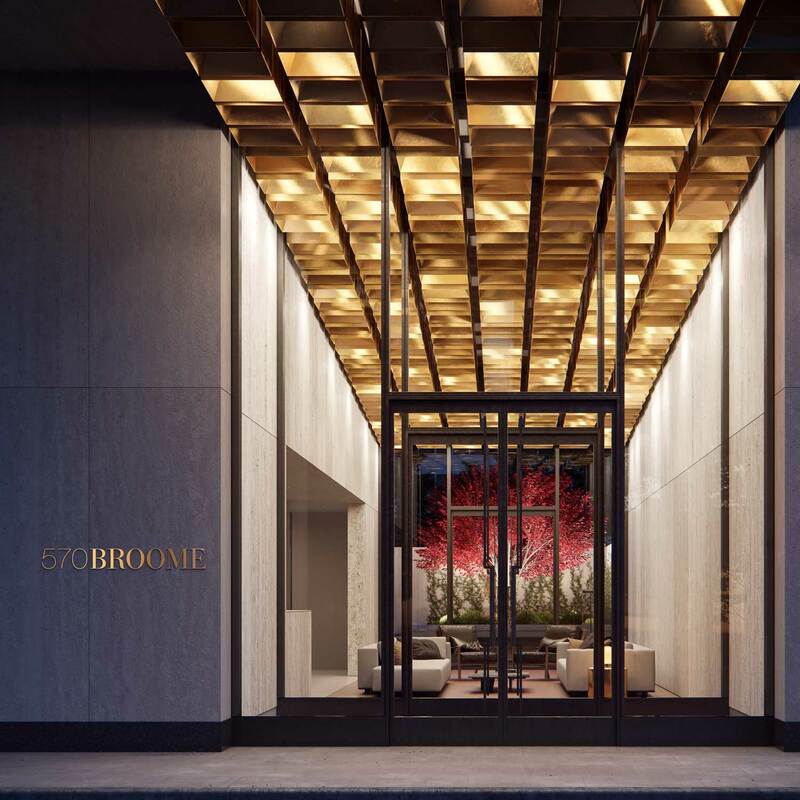 A MORE VERDANT VIEW IS ON DISPLAY AT THE BUILDING’S ENTRANCE WHERE THE GLASS-ENCLOSED LOBBY ALLOWS A GLIMPSE OF THE DAZZLING JAPANESE MAPLE TREE IN THE REAR GARDEN, A SCENE THAT ADDS A WELCOME BURST OF COLOR TO THE STREETSCAPE. 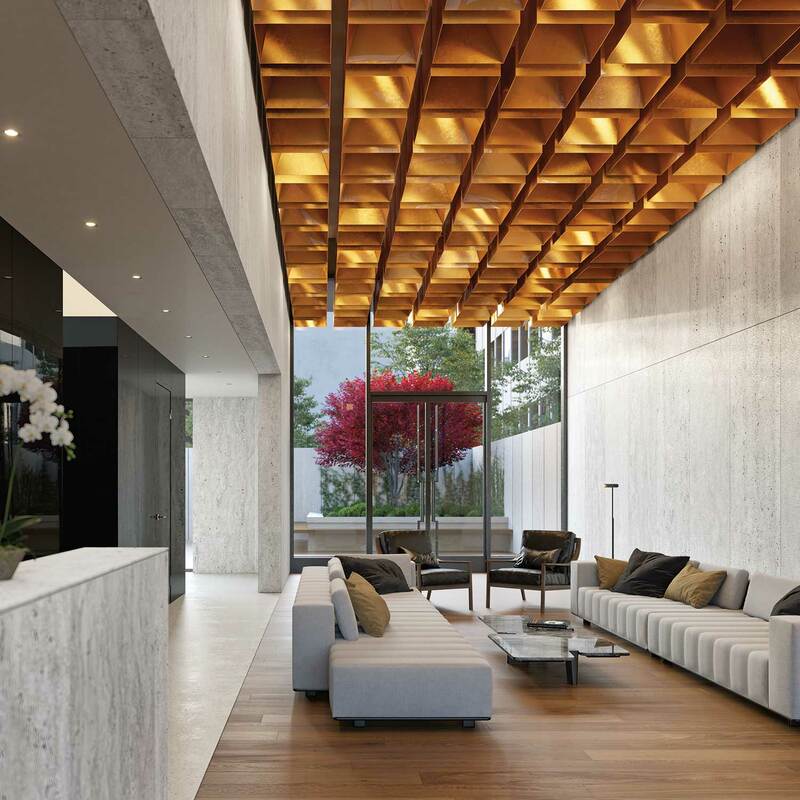 THE LOBBY’S STRIKING SCULPTURAL LIGHT INSTALLATION EXTENDS SEAMLESSLY TO THE EXTERIOR OF THE BUILDING, CREATING CONTINUITY BETWEEN INDOOR AND OUTDOOR SPACE. 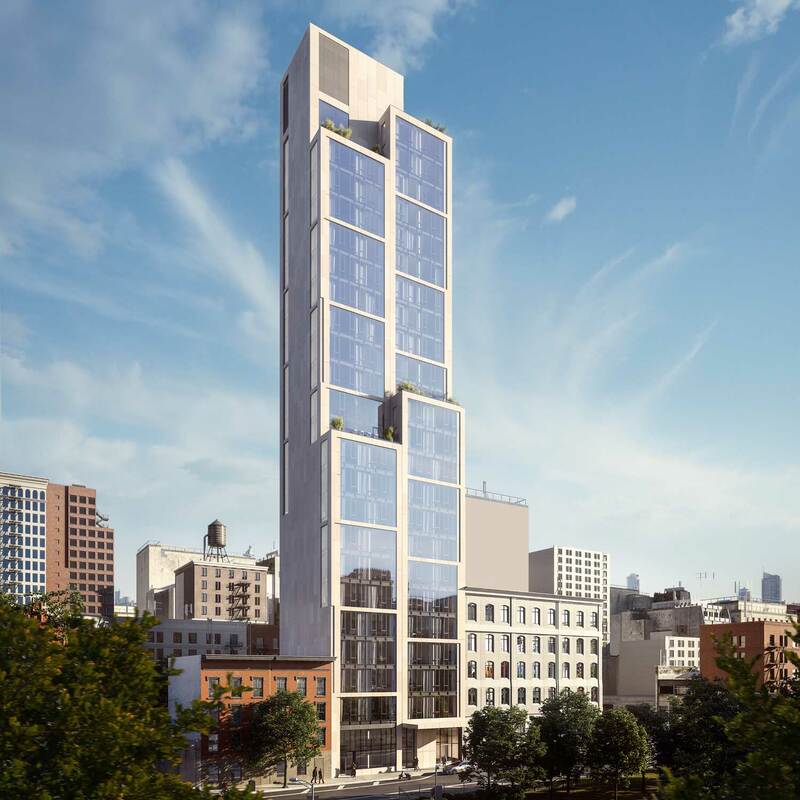 AMENITY AREAS AT 570 BROOME ARE DESIGNED TO CONNECT SPACES AS WELL AS RESIDENTS. THE STREET LEVEL VIEW OF THE BACK GARDEN BECKONS FROM THE MOMENT OF ARRIVAL. 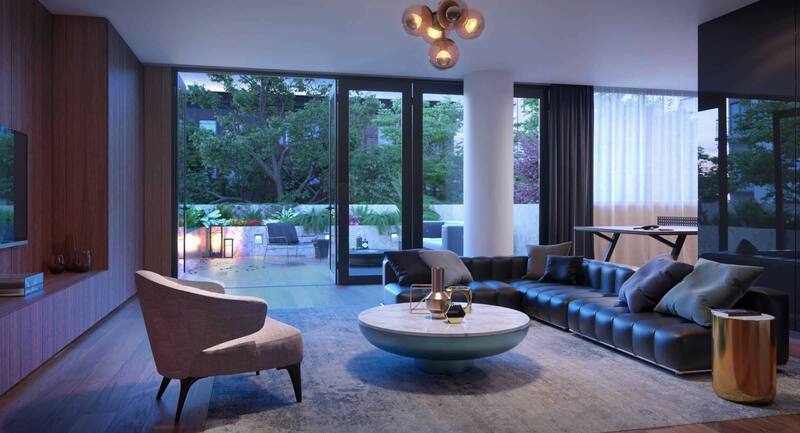 ON THE SECOND FLOOR, A PRIVATE RESIDENT LOUNGE WITH A GAME ROOM OPENS ONTO A LANDSCAPED OUTDOOR TERRACE. 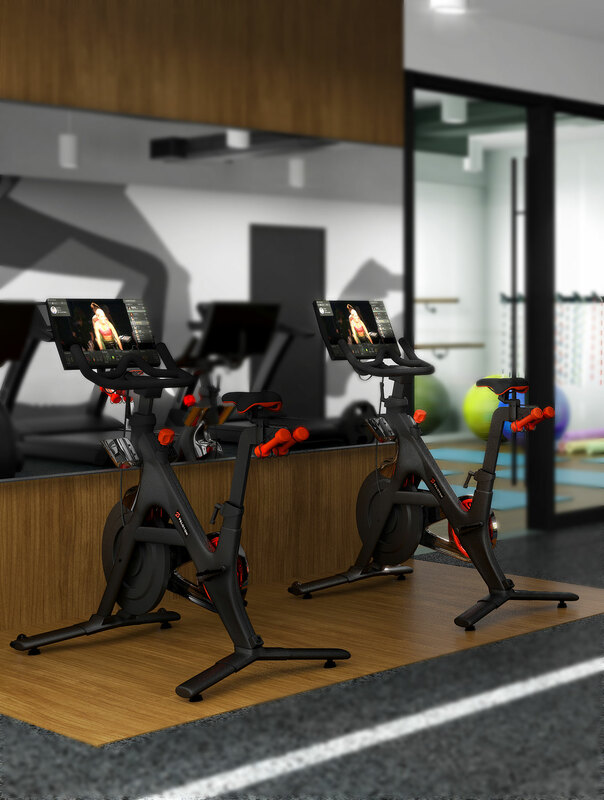 THE FITNESS CENTER INCLUDES PELOTON BIKES AND A YOGA STUDIO.